Is Tire Grooving Street Legal? Is Full Hydro Steering Street Legal? A full hydro (hydraulic) steering system is one in which no mechanical linkage connects the steering wheel to the steering knuckles. The power steering pump pushes fluid through hydraulic hoses into and out of a steering cylinder that then turns the wheels. The flow of hydraulic fluid is controlled by a steering valve that is connected to the steering wheel. Even though only a few states reference steering systems in their laws, it is important to know that all states require that vehicles be in safe operating condition. The following list is a summary of laws for those states that do make reference to a vehicle's steering systems. A vehicle's steering system must not be loose or defective. A vehicle's steering system must not be defective. A vehicle's steering system must retain the factory geometry. It is unlawful to weld on pitman arms, drag links, or tie rods. Power steering systems must allow for the safe operation of the vehicle in the event of power steering failure. 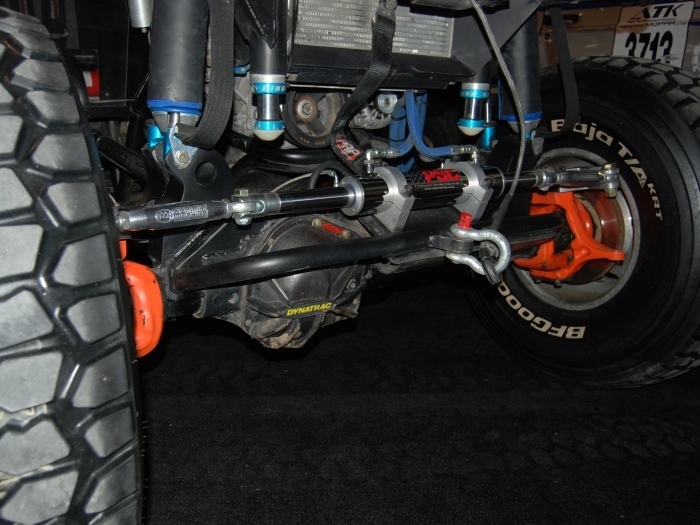 The steering system of lifted vehicles must retain almost all factory characteristics. A vehicle's steering system must be safe. Modified vehicles must have a steering wheel at least 13 inches in diameter that functions with no less than 2 turns and no more than 6 turns lock-to-lock. A vehicle's steering system must automatically return to center. A steering wheel's lock-to-lock turning count must not be less than 2 or more than 6 revolutions. It is unlawful to modify a vehicle's original steering system. The minimum steering wheel diameter is 12 inches. The maximum allowed vehicle turning radius is 32 feet and there is a minimum steering wheel diameter of 12 inches. Considering these laws, it is quite possible to design and build a safe full hydraulic steering systems that meets the requirements of all states with the exception of Tennessee. Although these laws don't specifically prohibit full hydraulic steering, that does not necessarily make it legal. That in mind, the risks of running a full hydraulic steering setup are mainly fix-it tickets and lawsuits. The chances of being issued a fix-it ticket for full hydraulic steering is very small. A) Only a close look with a trained eye can spot a modified steering system. 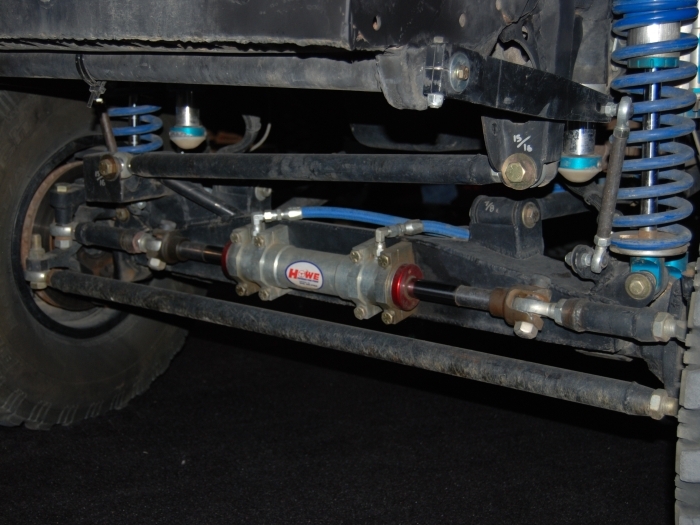 B) A hydraulic steering cylinder can easily be confused with a steering dampener. C) Most police officers don't know what full hydraulic steering is. D) Most police officers don't know if full hydraulic steering is legal or not. E) Police officers are hesitant to write tickets for things they aren't sure are illegal. If issued a fix-it ticket, there is a good chance that it could be argued in court (with the exception of Tennessee). Alternatively, the stock steering system will need to be re-installed to pass a tech inspection. The worst case scenario is having the steering system fail, causing an accident. In the event that someone is injured in that accident, it is likely that their lawyer(s) will inspect the vehicle for modifications to build their case against the driver. The best defense in this case is a good insurance policy. Anytime modifications are made to a vehicle they should be brought to the attention of the insurance company to make sure that insurance coverage remains in full effect. A full hydraulic steering system has its advantages, though it can also be extremely dangerous if it is not installed, used, or maintained properly. Even if a fully hydraulic steering system is allowed in your state, LiftLaws.com strongly believes that vehicles with full hydraulic steering systems should not be driven on the street as they are not as safe as the factory installed equipment. $100 LIFTLAWS.COM BOUNTY - Anyone that provides us with documentation showing that full hydro steering is illegal (in states other than Tennessee) or sends us a copy of a fix-it ticket that they received for having a full hydraulic steering system will have $100 donated to the BlueRibbon Coalition in their name. Reprint Permission: You are permitted to link to this articles for free. This article may be quoted, in part, for free if a link to the full text is provided alongside the quote. Written permission from Filthy Motorsports, LLC is required to reproduce this article on a web site, in any publication, or for use as marketing material. Legal:	The information found on this site is not legal advice and should not be viewed, used, or accepted as such.